If you’re ticking things off a bucket list, Vietnam is bound to rank highly on your list of places to see. However most itineraries focus on the surreal beauty of Halong Bay and the tiered tea and coffee plantations of Dalat. Saigon, or Ho Chi Minh City as it is now known, is often overlooked. This might be because Saigon is the business hub of the country and is infamous for its manic traffic. 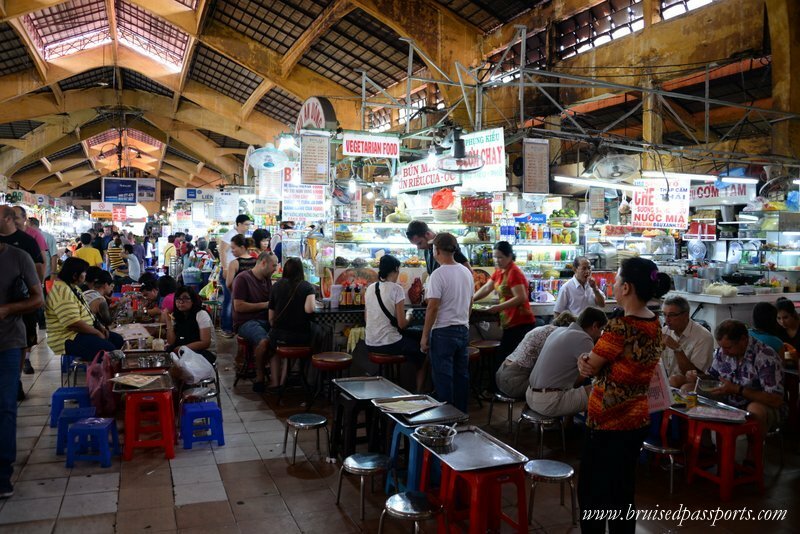 Eating is such an intrinsic part of Vietnamese culture that a food tour offers the perfect introduction to the city. We opted for an amazing street food tour with Tiger Tours in order to familiarise ourselves with Vietnamese street food staples. 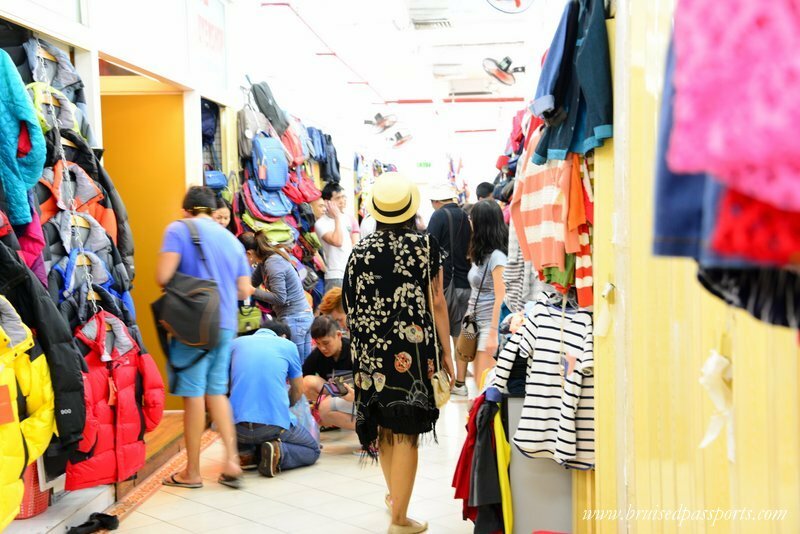 We would highly recommend taking this tour on your first or second day in the city because it offers a great introduction to the sights and sounds of Saigon. 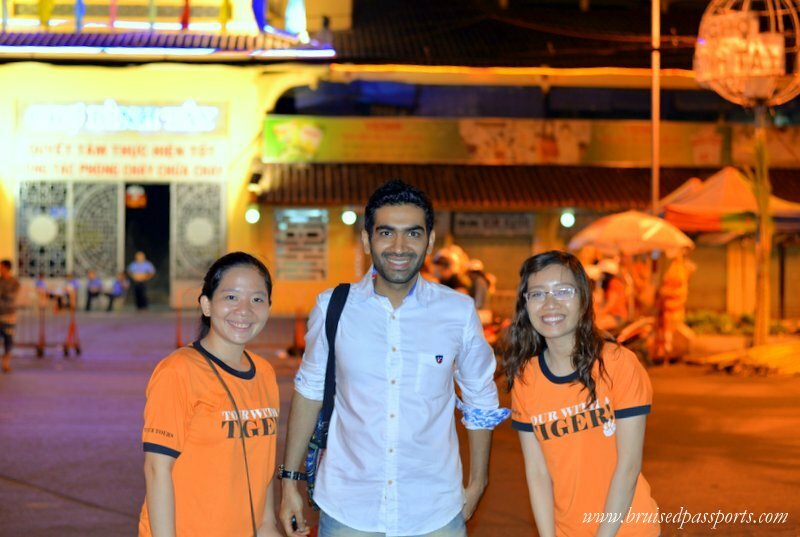 Kim and Ngoc, our guides, took us around the city on motorbikes and showed us most of the major landmarks. 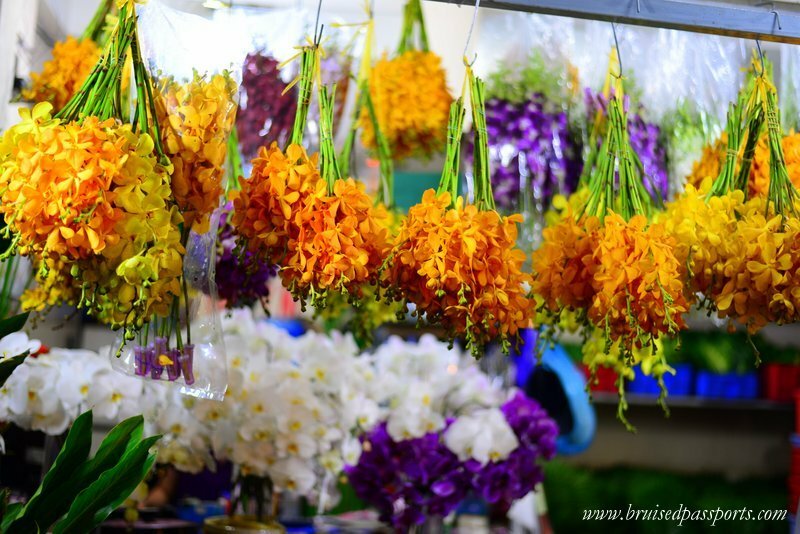 The highlight of the tour is definitely the scrumptious food but we also loved Saigon’s wholesale flower market – it’s easy on the eyes and offers amazing value for money. It’s possible for pay less that £2 for 50 stems of roses (yes FIFTY) – perfect for an impromptu romantic surprise eh? Less than 3 hours away from the chaos of Saigon lies the idyllic Mekong Delta. Here dozens of sampan boats peacefully glide down the river that is the lifeline of South East Asia. The seductive flow of the Mekong River is enchanting and offers the perfect respite from Saigon’s urbanity. It is possible to explore The Mekong Delta on a day trip but we would highly recommend keeping aside 2-3 days for this experience. 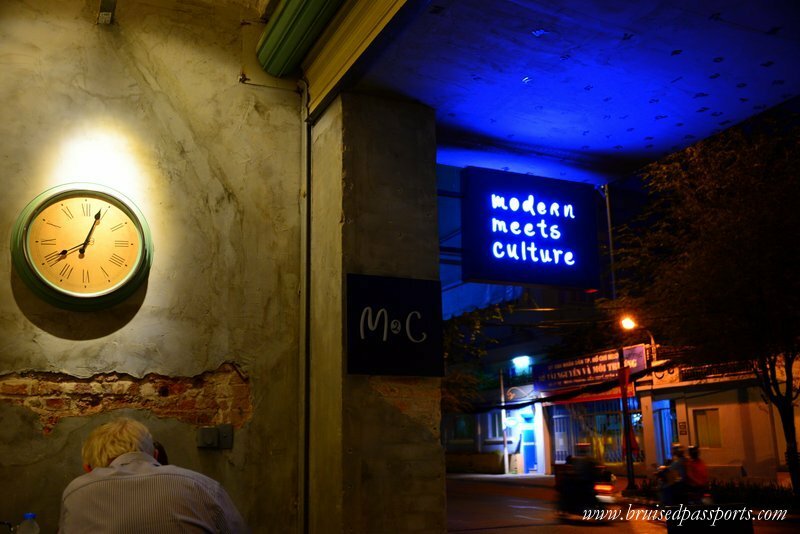 Saigon’s streets are dotted with religious buildings – temples, cathedrals, pagodas – that bear testimony to its troubled past and its cosmopolitan fabric in the present day. 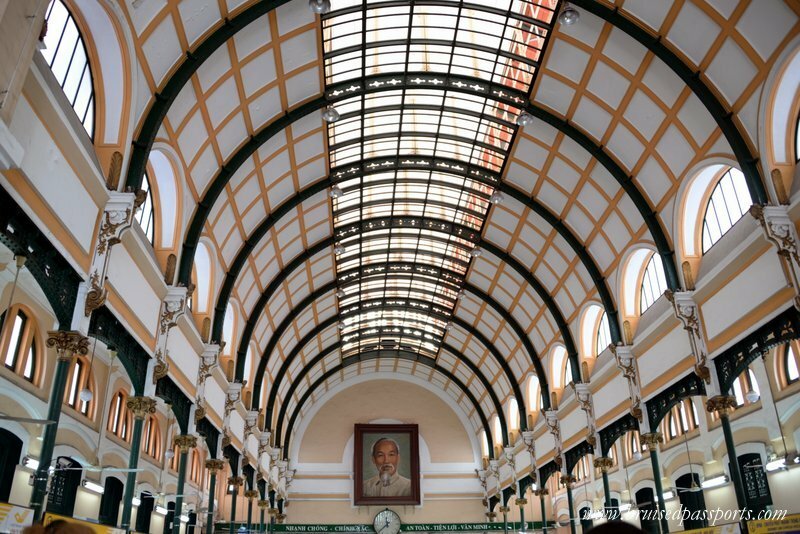 Saigon’s colonial past ensures the dominance of French architecture in the city. 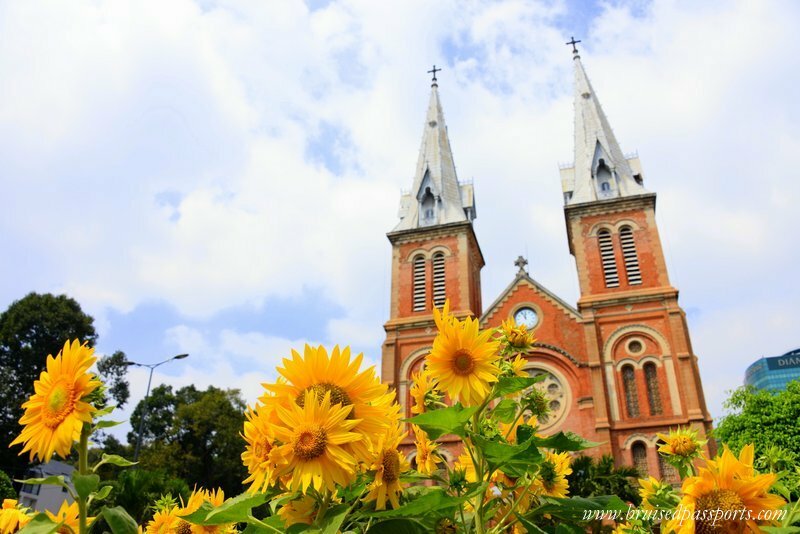 The Notre Dame Cathedral, established by French Colonialists, is one of the prettiest buildings in downtown Saigon and is frequented by Vietnamese Christians on a regular basis. We also enjoyed visiting the Mariamman Hindu Temple that serves the small community of Vietnamese Tamil Hindus in the city. 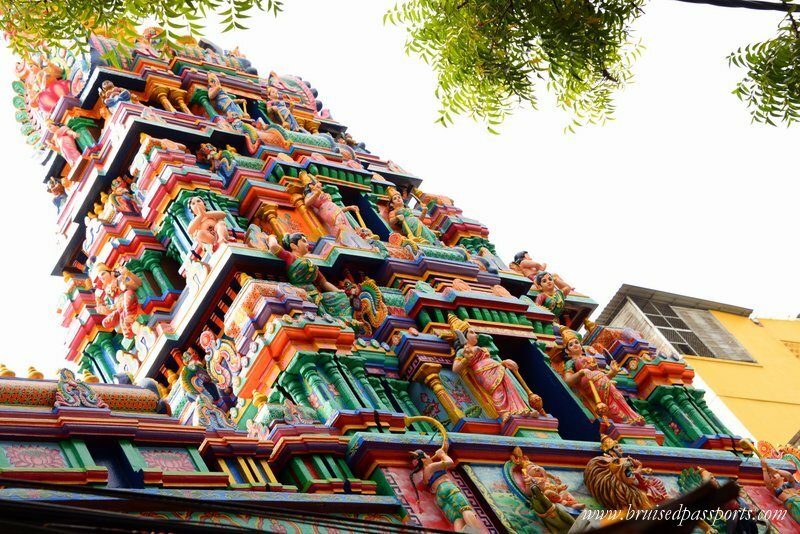 The colourful facade is adorned with Hindu deities while the atmosphere is clouded by the smoke and fragrance of incense sticks. These buildings offer an engrossing peek into Vietnam’s history and must be explored, irrespective of whether you’re believers or atheists like us. The details of the original building have been preserved well and the facade is strikingly European. On the inside, old maps, old-school phone booths, and resting benches are bound to take you back in time. It’s easy to spend an hour or two just observing tourists from all around the world furiously scribbling away at post cards to send to friends and family. Ho Chi Minh’s teeming China Town is the largest in Vietnam. China Town, or Cholon, is laden with pagodas, street food hawkers, and tea houses at every corner. The area is away from the tourist centre and there are few tourists here. But it’s one of our favourite parts of the city purely because it has so much character. The highlight of a visit to China Town is definitely its pagodas. They offer a spiritual experience like no other. The fragrance of incense sticks hangs heavily in the tepid air while devotees pray with conviction, and unravel in the pagodas’ expansive courtyards. There are 3 prominent pagodas in China Town. 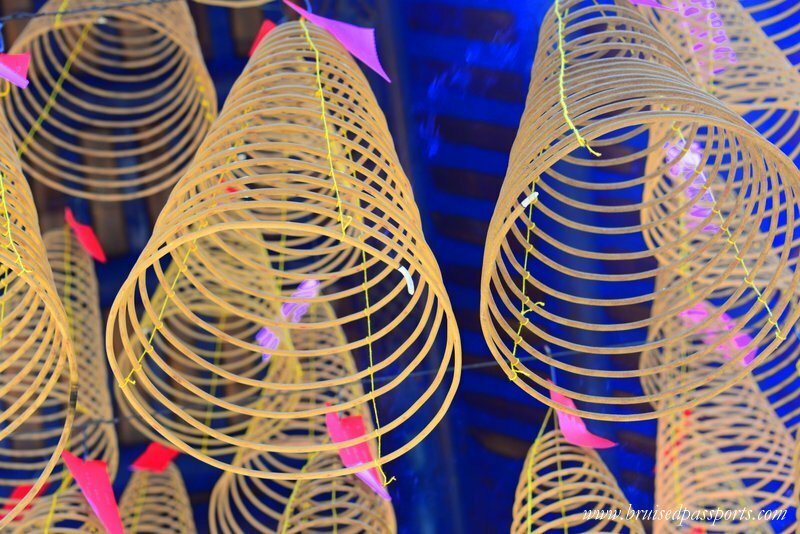 At the Thien Hau Pagoda hundreds of spiral incense sticks impart a smoky, hazy glow to the surroundings and bright pink wishing papers adorn walls. 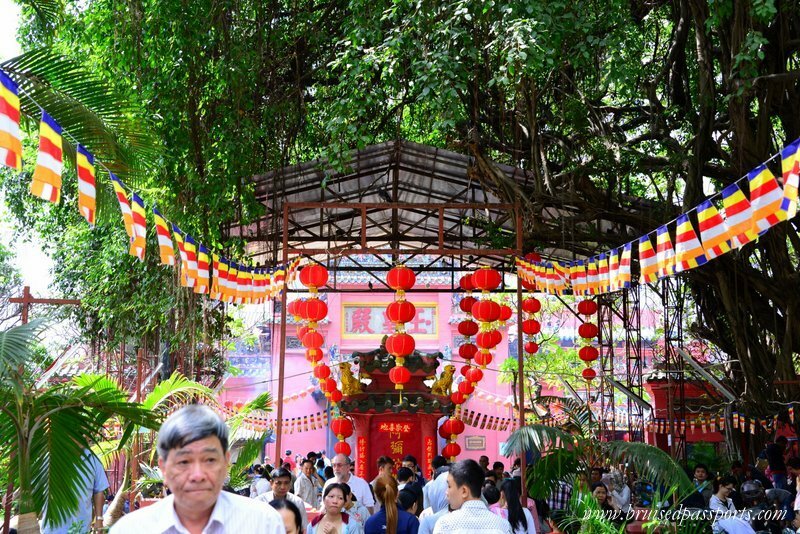 Then there is Phuoc Hai Tu (Jade Emperor Pagoda). A tortoise pond occupies pride of place here. Chinese people believe that turtles are ambassadors from heaven. They buy turtles from vendors outside the pagoda, write messages on them, and free them from captivity by letting them loose in the pond. 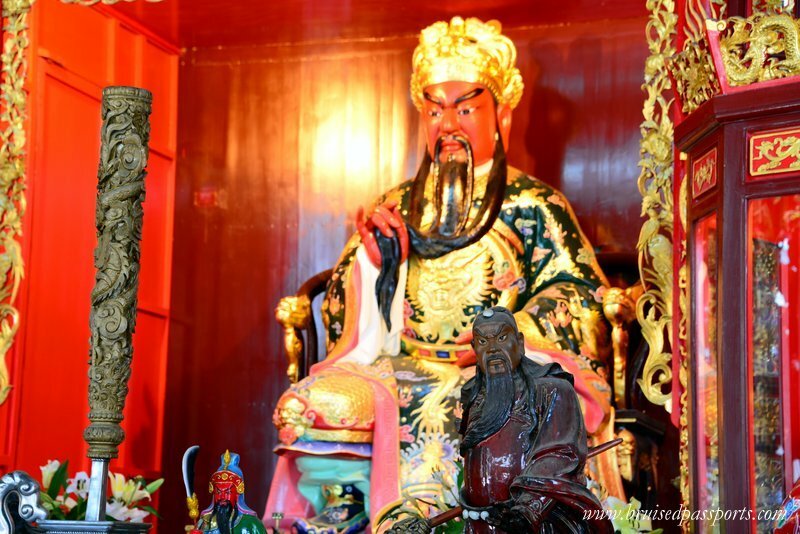 At Hôi Quán Nghia, deliciously lacquered porcelain figures are everywhere to be seen. Despite the number of devotees, the atmosphere is extremely peaceful, almost sublime. There are very few tourists at these pagodas since they are off-the-beaten-path but we were greeted with warm smiles everywhere we went. A young Vietnamese couple even took upon themselves the task of explaining the importance of turtles in Chinese mythology to us Highly recommended. 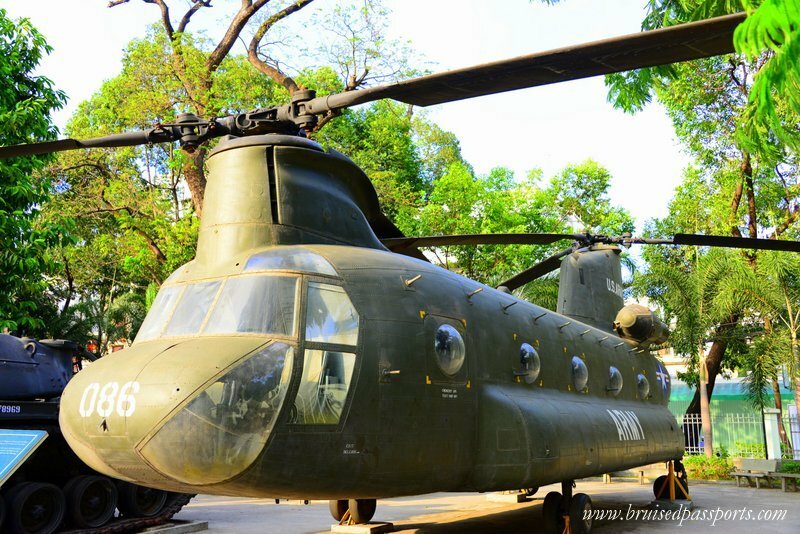 This museum might not be as haunting as the Killing Fields of Cambodia but it is a scary reminder of the atrocities committed by the US government and soldiers during the Vietnam war. Graphic photographs, paraphernalia from the war, and propagandist posters are bound to send a chill down your spine. 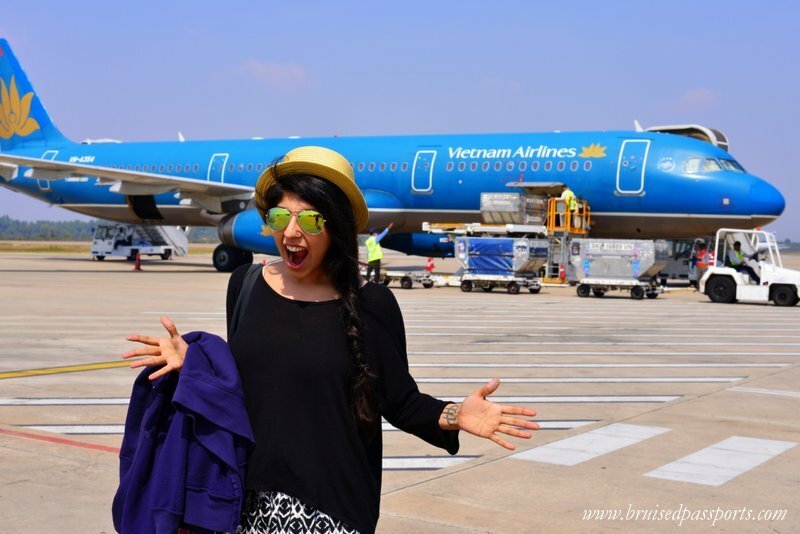 Put this on your list of things to do in Vietnam. The museum definitely offers a watered down version of history due to diplomatic reasons but it is definitely worth the 15000 VND (£0.50) entry fee. This is definitely a controversial one. 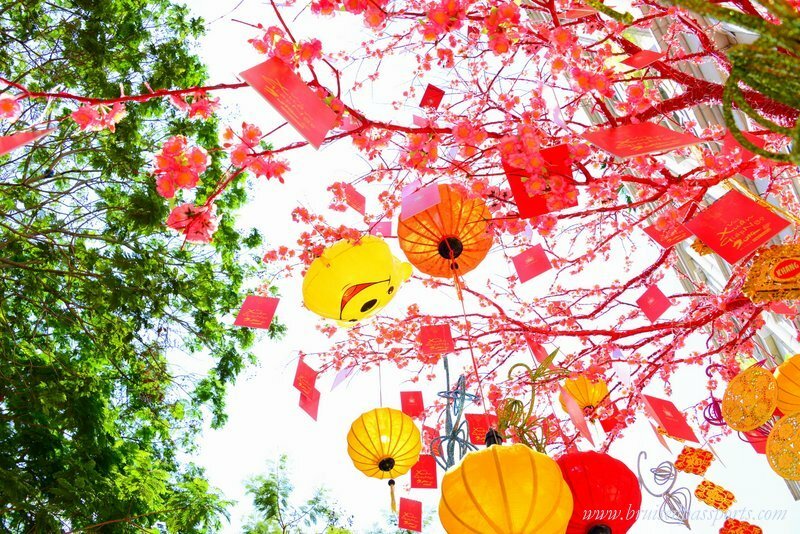 This is because Tet is a special time of the year for Vietnamese people – houses are cleaned and painted, gifts are exchanged, ancestors are honoured, prayers are conducted, and special meals are prepared from scratch. For tourists this translates into closed shops and markets. In addition to this, most restaurants have special menus for Tet which are much more expensive than regular menus. Shops only open on the sixth day of Tet with a small ceremony.